Summer is right around the corner, so now is the time to make fun recycled crafts to enjoy outside and <a href="http://www.inhabitots.com/best-eco-friendly-toys-for-the-beach-and-pool/">at the pool</a>. 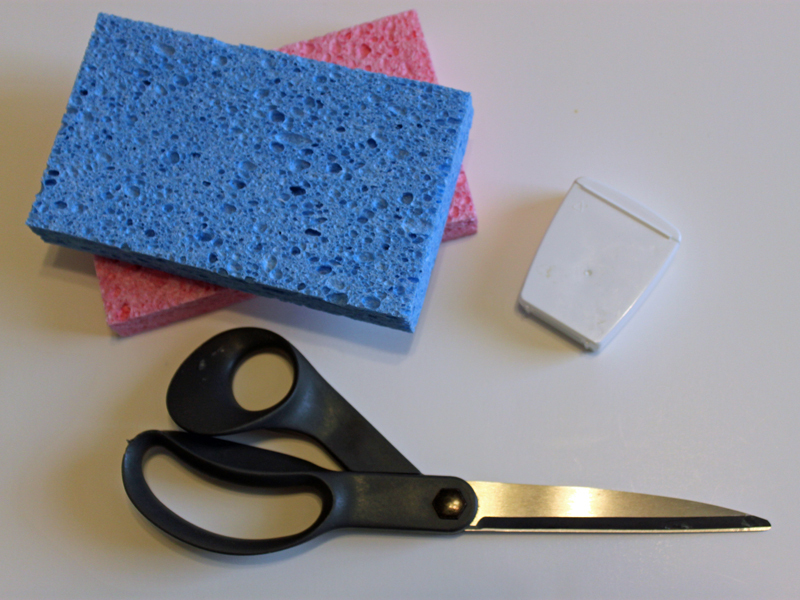 Transforming a couple of leftover sponges from your kitchen cabinet into a soft sponge water toy is a great project to get you started. It's super easy to make and will delight your child for hours at the pool or even in the <a href="http://www.inhabitots.com/seven-non-toxic-bath-time-products-for-your-green-baby/">bathtub</a>. These sponge water ball toys are great because they are perfect for children of all ages and if you accidentally get hit by one, it doesn't hurt a bit. Read on to learn how to make these fun sponge balls in just a few minutes. 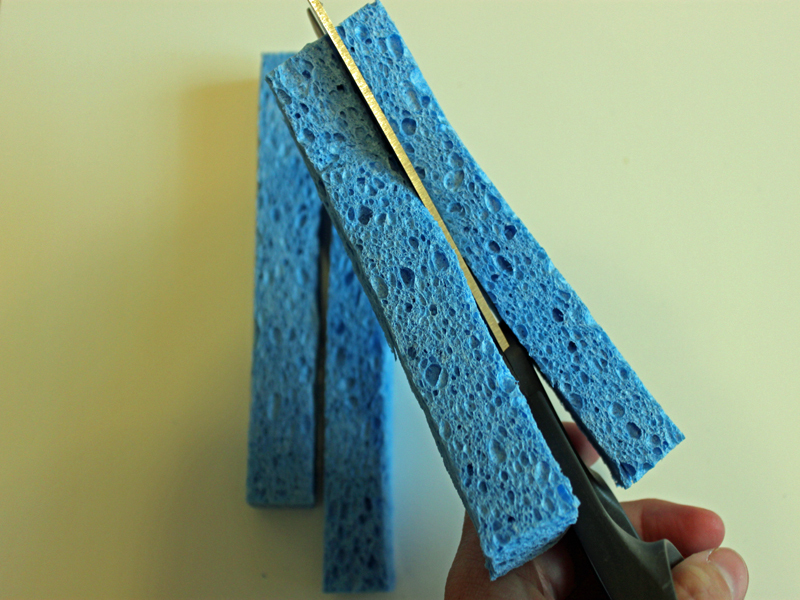 <h2>Step 1: Cut the Sponges</h2> Cut each of the sponges into 6 long pieces - you can use either large sponges or small sponges depending on the size sponge water balls you want. 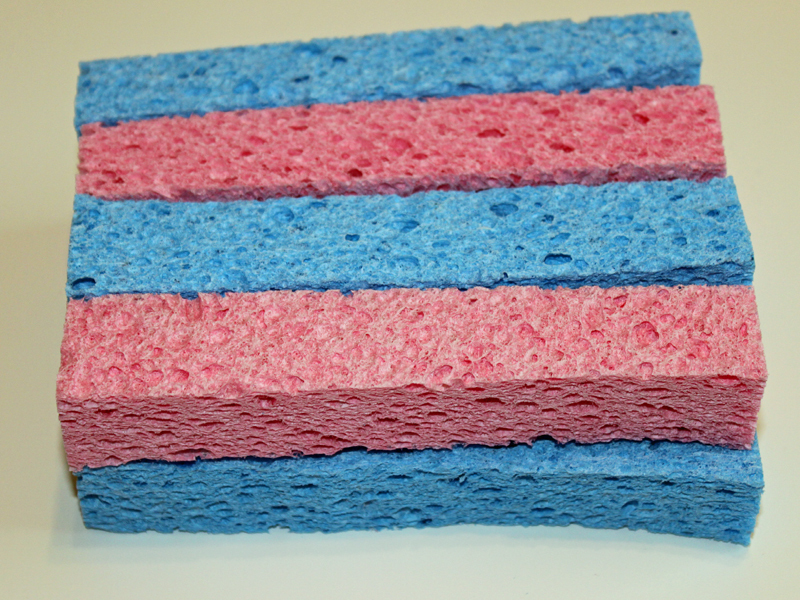 <h2>Step 2: Stack the Sponges</h2> Stack the sponge pieces, alternating colors. <h2>Step 3: Tie Them Together</h2> Tightly tie a piece of twine or dental floss around the center and tie in a tight knot. 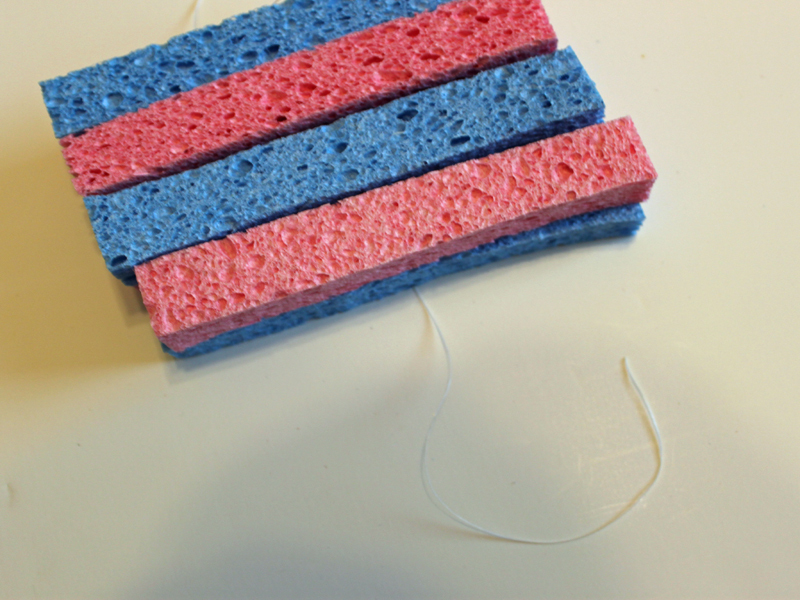 <h2>Step 4: Shape Into a Ball</h2> Pull and twist the sponge pieces until it forms a ball shape. <h2>Step 5: Have Fun</h2> Watch your children delight in playing with these sponge balls in the bathtub or the pool. Summer is right around the corner, so now is the time to make fun recycled crafts to enjoy outside and at the pool. 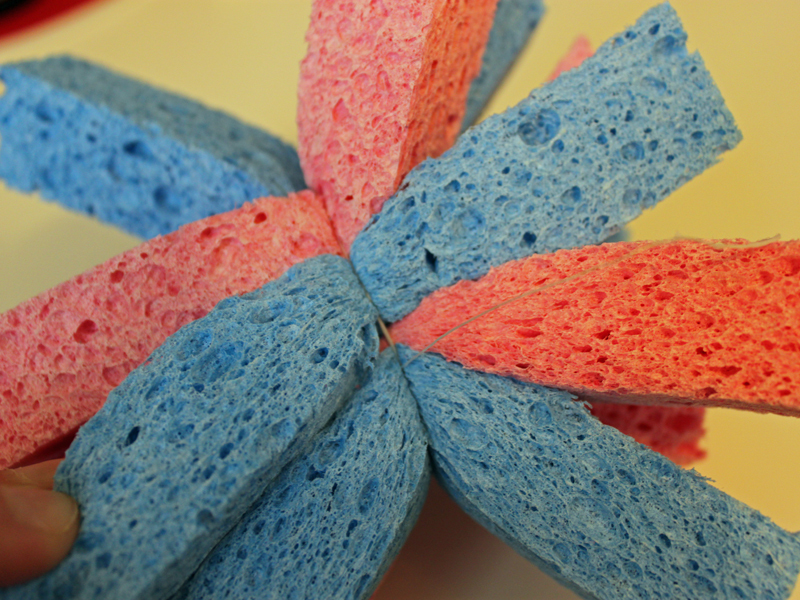 Transforming a couple of leftover sponges from your kitchen cabinet into a soft sponge water toy is a great project to get you started. It's super easy to make and will delight your child for hours at the pool or even in the bathtub. These sponge water ball toys are great because they are perfect for children of all ages and if you accidentally get hit by one, it doesn't hurt a bit. 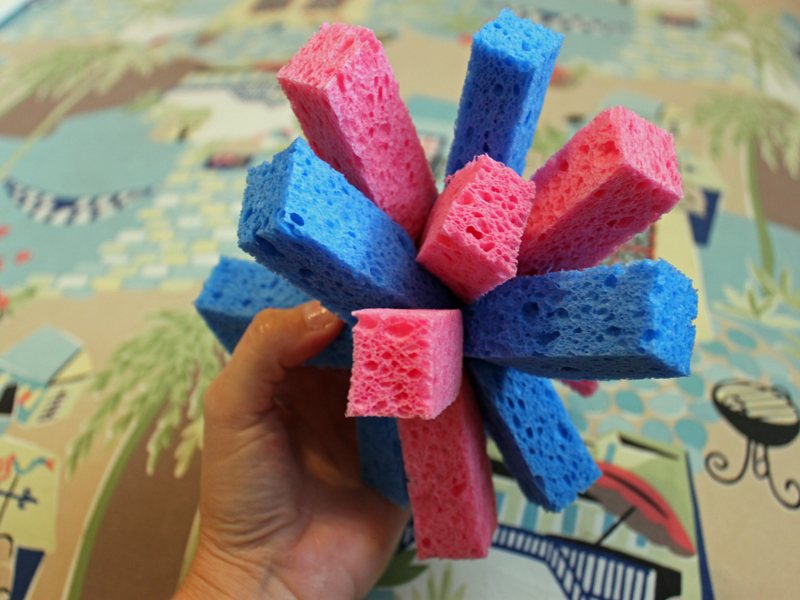 Read on to learn how to make these fun sponge balls in just a few minutes.